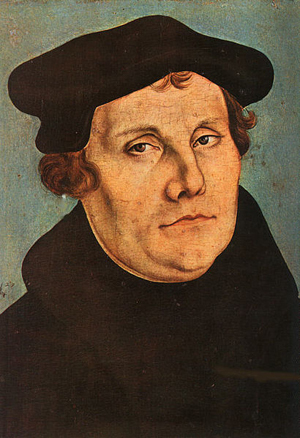 Martin Luther desired to see the church free to worship without the constraints of Roman papal authority. Working first from within the bounds of the church, he strove to center the church back within the scriptural story, exemplifying the importance of the written Word of God in the minds and hands of the people. With the text more accessible to both clergy and lay because of the invention of the printing press, the goodness of truth did not be limited to a few. Luther’s desire for renewal within the church led to a reform of the it, breaking down the current forms of Catholic parish life and replacing it with a new understanding of the priesthood of all believers led by well educated pastor / teachers. More scholastic than folk driven, Luther kept a high view of church life including a sacramental construct and eventually creedal approach that helped to define the boundaries of orthodox faith. Luther gave to the Covenant Church its emphasis on the centrality of the Word and its high value of the sacraments. As one of the founding reformers, his teaching on the priesthood of all believers and salvation by faith is seminal to Protestant self understanding.